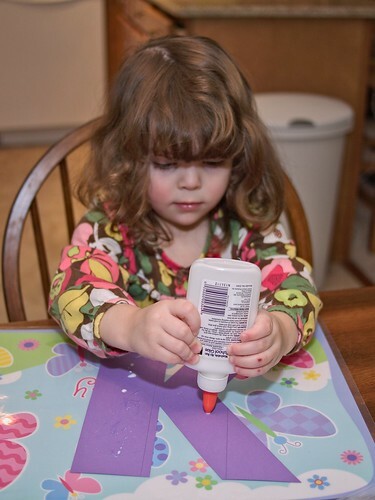 Our letter this week was 'K', however Leah decided to start the week with the letters 'E.R.' due to a dislocated elbow. You can read about it here. To share my Louisiana roots and celebrate Mardi Gras, I hosted a Mardi Gras playdate. 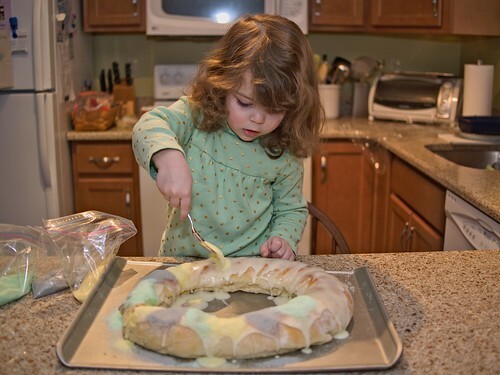 Molly helped me decorate one of the two king cakes that I made. She did a great job pouring the colored sugar only where she was told. We worked on crafting our letter 'K'. I combined ideas from No Time for Flash Cards and dltk-teach.com to create our K for King. 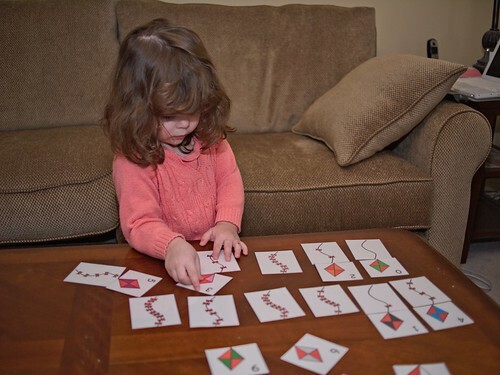 Molly worked on her counting skills with this kite matching game. 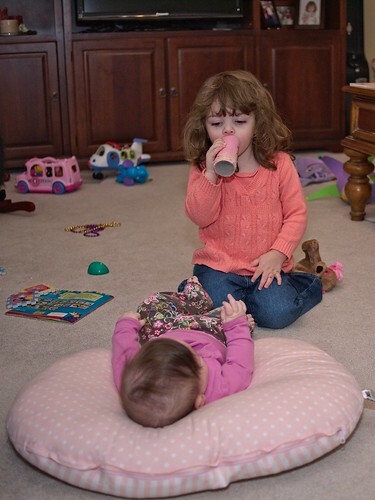 She made a cardboard kazoo and then serenaded Leah with a song. a kaleidoscope! Molly enjoyed the kaleidoscope for a few short minutes. She had more fun stamping the cover! 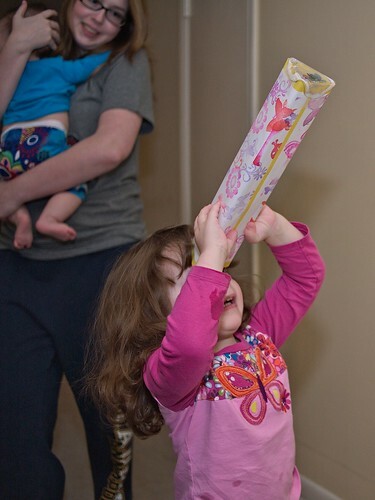 Leah wanted to try out the kaleidoscope too. Ok, so maybe she just wanted to chew on it, but she was looking through it by default! 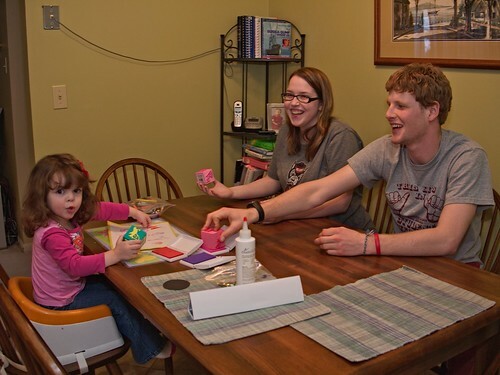 This entry was posted on Saturday, February 20th, 2010 at 1:35 pm	and is filed under Food, Kid crafts, Leah, Letter activities, Molly. You can follow any responses to this entry through the RSS 2.0 feed. You can leave a response, or trackback from your own site. 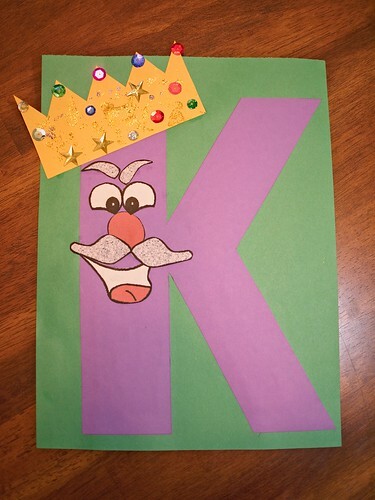 I love your K is for King creation! 🙂 No Time for Flashcards is such an awesome site! What darling girls you have! 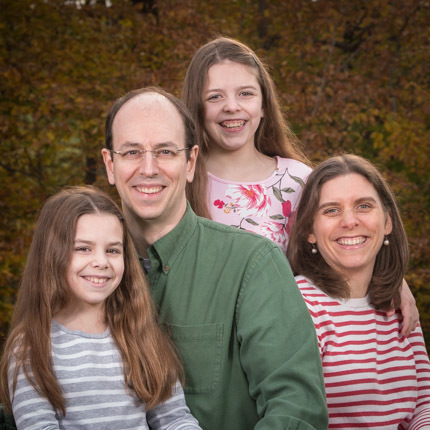 Love the kaleidoscope – very cool!! Love the King Cake. And I love the kaleidoscope. Looks like so much fun. The kaleidoscope is very neat! I would love to know how you made it. You take beautiful pictures! !